A bicycle is a great way to get to work, school or wherever else. However, you need to find the right bicycle for your route and riding skill. 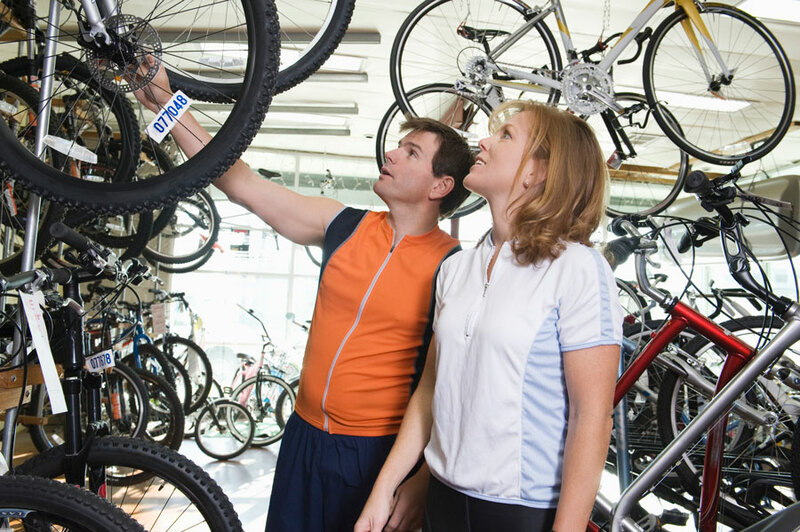 With this guide, we’ll help you on your quest to find the perfect bicycle for you. When it comes to choosing a commuter bicycle, you need to know what your commute is like. This means you should know the layout of your ride thoroughly. For instance, does your route require lots of uphill movement and a fair amount of turns? If so, you’ll want to get a bicycle that has gear shifts that are specifically designed for such purposes. You never forget how to ride a bicycle, but there is a lot to be said for mastering different types of bicycles. If most of your bicycle-riding has been recreational and not for the purpose of commuting, then you’ll want to ease yourself into the many of miles of pedalling to and from work and school. A fixed gear bicycle (or “fixie”) is a popular choice for commuting due to how fast they let you go. However, it’s design requires constant pedalling, which takes some getting used to. The ideal bicycle commute is on smooth, uncrowded streets that go downhill both ways (somehow), but if you have to cross rough waters (not literally, of course), there are bicycles that will be a help. Gravel bicycles are designed to help you out in the case of rough terrain on your commute. Plus, if inclement weather like snow strikes while you’re riding, a gravel bicycle will know how to handle it. 4. Do you have things to haul? If you have items that you bring to work or school regularly, then you should consider getting a touring bicycle. These will have racks for you to store your items or bolts that will allow you to install racks yourself. Just make sure that your rack is on securely and that you don’t have too many valuables in it. 5. Do you want to get there faster? Not quite a regular old-fashioned bicycle, not quite a motorcycle, an electric bicycle provides a speed boost that will help in those crunch time moments when pedalling as hard as you possibly can only do so much. You’ll just have to keep one very important thing in mind: make sure the battery is charged. With this information, you should now have a better idea about what to look for in terms of a commuter bicycle. Go to a cycling shop and consult with the staff about your needs and any other questions you might have. Whether you use a bicycle daily as your main form of transportation, or for infrequent recreational use, you’ll want to keep it in top condition and avoid unnecessary wear or premature aging. Here are five simple tips which will help you maintain your bike and keep it performing well for a very long time. Under-inflated tires don’t just make your ride less pleasant–they can also damage your tubes and cause your tires to wear much faster. The tires on road bikes tend to need re-inflating more regularly than off-road bikes, but you should check the pressure before every ride regardless. If you find that your tires are soft, use the recommended PSI on the tire to make sure you’re not over-inflating, which can also cause problems. Sometimes you may need to experiment to find the optimal PSI. Many tires have a recommended range, and road conditions and rider size play a big part in what works best. 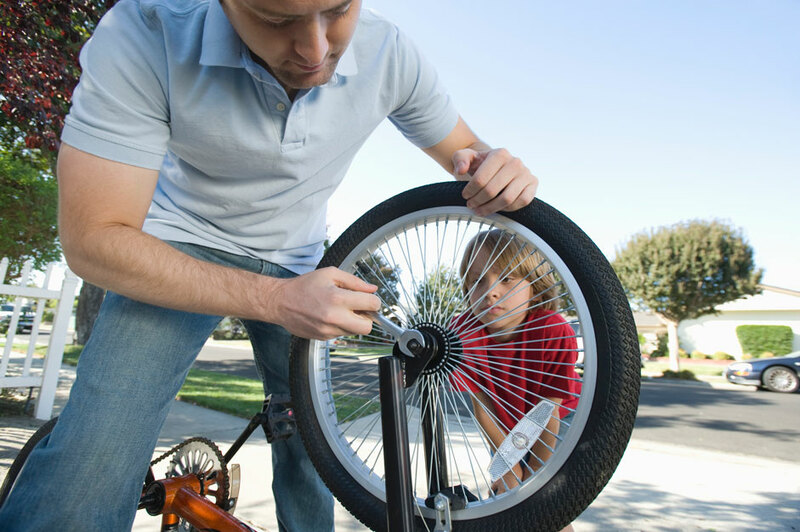 Over time, the bolts holding your bicycle together can wiggle loose. When this happens, it can put stress on various components of your bike, causing it to wear faster or get damaged. Regularly checking these bolts can prevent this problem from happening. If you find any loose bolts, use the torque specifications in the owners manual to keep you from over-tightening and to properly restore the bolts where needed. One of the easiest and most important ways to preserve the life of your bicycle is to store it properly. Outdoor bike storage in an unprotected area can result in extreme temperatures, direct sunlight, moisture, and even neighbourhood animals. All of these can damage your bike and shorten its lifespan. Storing it in a bike storage shed can protect your ride and greatly minimize wear and tear, extending its life and usability. Lubricating your bicycle regularly is vital for proper bike maintenance. Lube will keep away rust and corrosion and will help avoid an excess amount of friction, keeping away premature wear. An absence of lubrication, especially on your bike’s chain, can result in a bike which responds poorly and is stiff and squeaky to ride. Lubricate frequently with a proper bike lube, and wipe off any excess lube before riding it so that you don’t attract and collect dust and dirt. When you come home from riding your bicycle, spend a few moments wiping off any grime or dirt before you put it back in your bike storage shed. Allowing mud and other substances to remain on your bicycle frame can result in corrosion and rust, and if they get in your chain or other moving parts they can cause wear and tear. A brief cleaning and drying of your ride after use can play a huge part in keeping your bicycle looking and performing in a like-new fashion. Bike Storage PRO Copyright © 2019.